A beautiful story about family and a young woman's journey to find her place in this world. Look out for my review that will be posted on Essentially Italian on May 8 and Sandra's review that will be posted here on May 18. Also, scroll down to enter the giveaway for a chance to win a copy plus an Amazon GC. 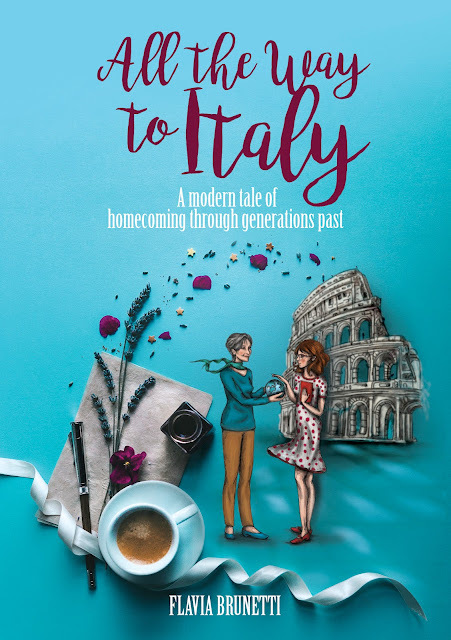 To follow the tour and read reviews, please visit Flavia Brunetti's page on Italy Book Tours. Thanks for this wonderful feature and giveaway. This book is a real treasure which I would cherish. I'm liking the mixed cultures aspect. You've got an Italy theme going. This one sounds good, and nice cover as well. Enjoy it!